The trends and topics home builders will be focused on in 2018 and beyond. To kick off the new year, BUILDER reached out to industry experts across the country to find out what’s on their minds for 2018. From design trends and construction solutions to what buyers want in a new home, our insiders sound off below on the topics they’re following for the next 12 months and beyond. Robert Hidey, president of Robert Hidey ArchitectsIrvine, Calif.Interior trends. More and more consumers are showing interest in a cleaner, simpler aesthetic, which is, ironically, more expensive to execute well. At the same time, construction costs are going up because of a shortage of people who can construct the level of finishes and details that are necessary. If demand continues, it is likely that skilled workers will step in to fill the gap and five years from now this work will be more economical to builders. Land shortages. With scarce available land in Southern California, our principal market, we see homebuilding here facing great changes in the years ahead. Moreover, as the available sites are often infill, which are more complex and pose additional challenges in the approval process, the expertise of highly skilled architects and planners is critical. Mary Cook, founder of interior design firm Mary Cook AssociatesChicagoGeneration everyone. It looks like multigenerational living is here to stay. Not since the 1950s have so many families chosen to live with multiple adult generations under one roof, according to Pew Research, challenging designers and builders to maximize efficiency without compromising style. Home builders are learning quickly that privacy and accessibility are two must-haves for multigenerational living. Designing both upper and lower levels with master bedroom suites allows a home to be adaptable for returning children, grandparents, guests or roommates. Also critical are private ‘getaway’ areas, such as sitting rooms or work spaces in bedrooms. With plenty of spaces available for family and alone time, it’s easier to merge lifestyles, work and entertainment schedules, allowing generations to live successfully together. Noel Fedosh, design director, Landry Design GroupLos AngelesTransitional pivot. In 2018 we predict a shift away from the white modern box, which has become more prevalent in recent years--even amongst several of our long-term clients, who are traditionalist at heart--to a hybrid contemporary style that combines the simplicity of modern architecture with the formal organization and detail of traditional architecture. Jeff Benach, principal of Lexington HomesChicagoA darker look. Dark colors will be desirable for buyers, builders and designers in 2018. The bold black colors of the year from Olympic Paint (Black Magic), Glidden (Deep Onyx) and PPG (Black Flame) point to the luxe appeal of this hue. One way to add subtle drama to a home’s exterior is to forego tan and beige siding in favor of darker shades. Single-family home communities like our Lexington Towne in Arlington Heights offer siding in various shades of dark blue, as well as dark and medium tones of gray, such as natural slate. After experiencing how popular these darker options are at our single-family communities, we are now designing many of our new suburban rowhome and townhome communities with these exterior shades for a more modern look. We also are seeing buyers wanting to enhance the dark siding on the single-family homes with mixed materials like stone, brick and cedar for a textured look. Rick McAlexander, CEO of Associated Designs Inc.Eugene, Ore.Clever garages. Enhancing properties with detached garages is one thing, but taking that garage and making into an extra living space is quite another. For many homeowners in 2017, this detached garage concept was a major plus and a common home design trend. And with that trend comes plans to match that showcase the utility factor of the garage as well as the style and comfort of a guesthouse. It’s essentially another house on the same property, and that’s pretty clever. Any property that can be enriched with additional storage or garage space is a great thing, but to take that and make it into living space as well is a huge win. The options are endless when a detached garage comes into play because you can rent out the living space, use it for visitors and guests, or make it your own. Ken Fixler, CEO of Barnett HomesChicagoMixed metals. Pairing different metal finishes and fixtures used to be a risky prospect few buyers and homeowners embraced. However, heading into 2018, interior designers and homebuilders are seeing a rise in mixed-metal appeal, sometimes in combination with unexpected stone and metal pairings. We are using mixed-metal finishes – from polished nickel with aged iron accents to black with gold accents –in a variety of places, including faucets, hardware, lighting and even furniture. Especially in the downtown Chicago market, buyers really love to see modern, eclectic choices such as a hammered copper light fixture above the kitchen island paired with sleek chrome faucets and cabinet hardware. That trend is also influencing how we stage our completed homes with accent pieces such as metal counter stools, chair rivets and mirror trim. John William Barger III, vice president of sales and marketing, Barger Builders & DevelopersSt. Petersburg, Fla.Single-story living. We cater to a mid-tier and luxury clientele, and as Baby Boomers start to retire, they are looking for a place to call home where they can age in place. For the past few decades, most luxury home buyers in the Tampa Bay market were dual income families that needed large two story homes with 4-6 bedrooms for their children. Now, we are seeing more and more older buyers seeking something luxurious but more livable, and the number one request is for a one story home, or if the lot won't allow it, a first floor master. All homes we have plans to build in 2018 will have first floor master suites, and we have found that single story homes sell almost twice as fast as their two story counterparts. Contemporary architecture. We have also noticed the demand for contemporary architecture and open spaces with clean lines is holding strong and showing no signs of stopping. While for decades, Mediterranean Revival was the preferred architectural style in Florida, we have only built one Mediterranean style home in the past 5 years, all the others being either contemporary or more transitional styles. All homes we have planned for 2018 incorporate strong Contemporary style with clean lines, cool colors, and maximum natural light. Dane Christensen, team lead, National Renewable Energy Laboratory, Residential Systems PerformanceWashington, D.C.Too many ‘smart’ apps. I’m hoping that consumers can soon say good-bye to their many apps that controls each smart home product. For me, I look forward to getting rid of 14 apps to control my 14 smart home products and having just one device that manages my smart home for me! Michael Dickens, partner, IBACOSPittsburghOff-site solutions. There will continue to be an increase in all types of off-site construction solutions – from builders, manufacturers, and other players – that will help to off-set the ongoing labor issue and drive efficiency in the industry. The age of quality. With margins that will continue to remain tight, builders will need to find more operational efficiencies. Smart builders will see that investing in quality upfront keeps money in their pocket long-term. Corporate influence. 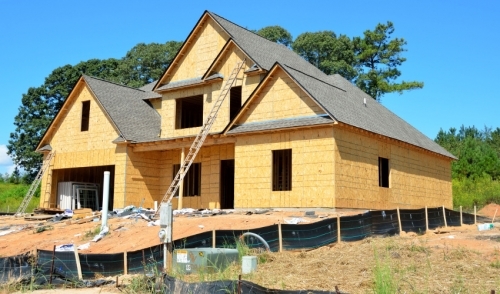 Outside players with enormous amounts of money and power will continue to impact the industry, affecting change in distribution channels and further defining what “connectivity” means to both the homeowner and the builder. Jim Amorin, Appraisal Institute president and acting CEOWashington, D.C.Pending legislation. The Appraisal Institute hopes and expects that in 2018 Congress will take up the issue of appraisal regulatory modernization. Appraisers are being crushed by a stack of growing, outdated rules and regulations that haven’t changed in more than 25 years – although the market certainly has changed. An antiquated regulatory structure and layers of federal rules and regulations add costs and offer protection that is duplicative and unnecessary. The current regulatory structure discourages technological advancements and imposes unnecessary burdens and costs throughout the system. Modernization options Congress is looking at would preserve or increase consumer and governmental protection while addressing many of the flaws in the current regulatory bureaucracy. MLS changes. Future potential auto-population of the MLS should particularly help builders. If the Addendum is mapped to the Real Estate Standards Organization dictionary, it can be used in auto-populating the fields in the MLS. When the builder, energy or green rater, or solar installer completes the Addendum, the data should be more accurate and result in better figures for the appraiser to use in selecting comparables. Waiver issues. Freddie Mac’s and Fannie Mae’s appraisal waivers – especially for first-purchase loans – threaten to take work away from many appraisers and threaten consumers. The Appraisal Institute sees the GSEs’ waivers as yet another example of alternative products being used in place of appraisals, which remain the gold standard for real estate valuation and risk mitigation. Ryan Meres, programs director for RESNETWashington, D.C.HERS on the upswing. For more than five years, RESNET has seen year over year growth in the number of homes getting a rating under its Home Energy Rating System (HERS) Index. In 2017 RESNET marked a milestone of 2 million HERS Rated homes. This trend is sure to continue through 2018, as more millennials flood the housing market in search of energy efficient, environmentally friendly homes. Water efficiency. Water efficiency efforts have long seen ebbs and flows based on drought conditions. However, with water prices increasing as much as eight percent each year since 2010 consumer demand for more water efficient homes may reach a tipping point in 2018. Builders already getting their homes HERS Rated will soon be able to add a water rating with the launch of the new HERSH2O Index in 2018. With more than 200,000 homes getting a HERS Rating each year, HERSH2O has the potential to transform the water efficiency market.